Orion (aka Multi-Purpose Crew Vehicle) has had a slow, expensive gestation costing several $billion so far, and its first crewed mission won't happen until at least 2021. How long? Its develioment stated the same year as SpaceX's Dragon. NASA says the parachute designed for its Orion interplanetary spaceship passed its most complex test to date on Wednesday ? but an even bigger test is still to come. At the start of Wednesday's run-through, a test version of the Orion craft was pulled out of a C-17 aircraft, 35,000 feet above the U.S Army's Yuma Proving Ground in Arizona. The craft went into a 10-second free fall, and then the parachute system was triggered to slow its descent. Engineers rigged the system with a built-in malfunction to see if it could tolerate failure. It could. The Orion test craft touched down safely in the desert, NASA reported. The big test comes in December. That's when an uncrewed Orion spaceship will be launched atop a Delta 4 Heavy rocket, soar as far as 3,600 miles (5,800 kilometers) into space during a four-orbit journey, and then come screaming back to Earth at a speed of almost 20,000 mph (32,000 kilometers per hour). The Orion's heat shield will have to weather temperatures near 4,000 degrees Fahrenheit (2,200 degrees Celsius). At the proper time, two drogue chutes and three main parachutes will have to pop out to slow down the Orion's fall to a manageable 20 mph for a Pacific Ocean splashdown. That trial is called Exploration Flight Test 1, or EFT-1, and it's meant to blaze a trail for an uncrewed round-the-moon flight test that pairs Orion with NASA's heavy-lift Space Launch System in 2017. The first crewed Orion-SLS flight could come as early as 2021. NASA plans to use the spacecraft to send astronauts to a near-Earth asteroid, and then to Mars and its moons in the 2030s. Yeah, noticed after the timer ran out. Correction request in. I'd had a quick look but can anyone give the dimensions of the Dragon v2 for comparison? The specs haven't been shared yet, but a lot of people have been using cues to calculate estimates. It uses the same pressure vessel as Dragon V1 with a minor change to the lower compartment housing the life support system. This makes things a bit easier, giving us minimums. We know the mass of a fueled Dragon V1 was about 5.5 tonnes (empty) and that the Dragon V2 used for the DragonFly propulsive landing tests will mass about 7 tonnes. This is not counting the nose cone, which opens for docking then closes for reentry. Figure ~1 meter for that. Hey Doc, Have they done any launch abort tests yet? will Orion be up to spec? They are a bit excited believing that SLS will be ready for 2017. I havent heard much news about it recently. Pad abort test video at bottom. Orion's tower mounted abort solid is nearly the size of a theater ballistic missile. If unused all that mass is discarded. Dragon V2's 8 SuperDraco abort thrusters are far smaller and lighter, each being about the size of a coffee can and a max of 16,400 lbf, and it keeps them as orbital maneuvering and landing engines. Powerful little SOB's. EFT-1: December 2014, Delta IV Heavy, high apogee loop, heat shield test. No firm plans or budget after these. SpaceX may well be flying their Raptor engined, methane fueled, BFR super-heavy launcher before Orion/SLS flies its first crew. With the pending December launch of an unmanned NASA Orion on a Delta IV Heavy to test the heat shield and systems, here's a rundown what needs to go right. 1. Launch Abort System Separation ? The launch abort system (LAS) is a key reason that Orion is intended to become the safest spacecraft ever built. In an emergency it could activate to pull the crew module and the astronauts it will carry away from the launch pad and the rocket in milliseconds. 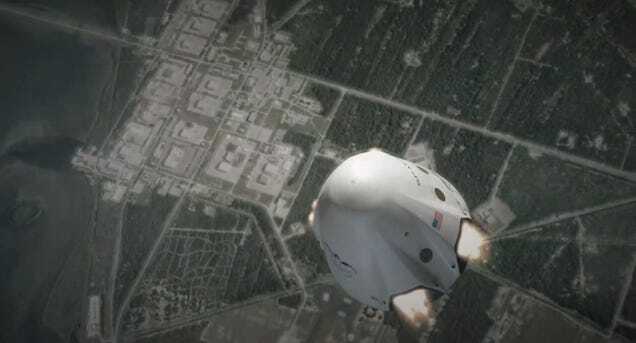 Hopefully it?s never needed, and since no crew will fly on EFT-1 the rescue system won?t be active. But even when a launch goes perfectly, the 904-pound LAS jettison motor has to perform flawlessly. If it doesn?t get rid of the LAS 6 minutes and 20 seconds into the mission, there will be no landing ? the LAS protects the crew module during ascent, but to do so, it blocks the parachutes that allow Orion to safely splashdown. 2. Parachute Deployment ? For EFT-1, Orion will travel 3,600 miles above the Earth so that when it performs its deorbit burn, it will come screaming back into the Earth?s atmosphere at almost 20,000 miles per hour. Before it splashes down in the Pacific Ocean, it needs to slow down to 1/1000th of its entry speed ? a relatively gentle 20 miles per hour. Earth?s atmosphere does its part to put on the brakes, but to make landing survivable, Orion relies on its parachute system ? primarily two drogue parachutes and three massive mains that together would cover almost an entire football field. They?ve been tested on Earth; test versions of Orion have been dropped from airplanes with a multitude of failure scenarios programmed into the parachute deployment sequence in an effort to make sure that every possibly problem is accounted for. But the sheer number of possible problems to be tested indicates how complicated the system is ? each parachute must deploy at the exact right time, open to the exact right percentages in the exact right stages, and be cut away exactly as planned. And no test on Earth can exactly simulate what the spacecraft will really experience on its return from space. 3. Heat Shield Protection ? Before the parachutes even get a chance to deploy, Orion has to make it safely through Earth?s atmosphere. The reason that Orion is traveling so far and coming back in so fast is to give the heat shield a good workout ? the idea is to get as close as possible to the temperatures Orion would experience during a return from Mars. At the speed it will be traveling, the temperature should reach almost 4,000 degrees Fahrenheit. At that same temperature, a nuclear reactor would melt down. Standing between the crew module and all that heat is no more than 1.6 inches of Avcoat, a material that?s designed to burn away rather than transfer the temperatures back to Orion. Some 20 percent of the Avcoat will erode during the spacecraft?s journey back to Earth, and although it?s not the first time the materials has been used for this purpose, at 16.5 feet wide, Orion?s heat shield is the largest ever built. Technicians filled with Avcoat each of the 320,000 honeycomb cells that make up the shield?s structure by hand, then machined them to the precise fractions of inches called for by the design. Getting it exactly right is all that will get Orion through one of the most dynamic periods of its mission. 4. Radiation Levels ? Traveling 15 times farther into space than the International Space Station will take Orion beyond the radiation protection offered by Earth?s atmosphere and magnetic field. In fact, the majority of EFT-1 will take place inside the Van Allen Belts, clouds of heavy radiation that surround Earth. No spacecraft built for humans has passed through the Van Allen Belts since the Apollo missions, and even those only passed through the belts ? they didn?t linger. Future crews don?t plan to spend more time than necessary inside the Van Allen Belts, either, but long missions to deep space will expose them to more radiation than astronauts have ever dealt with before. EFT-1?s extended stay in the Van Allen Belts offers a unique opportunity to see how Orion?s shielding will hold up to it. Sensors will record the peak radiation seen during the flight, as well as radiation levels throughout the flight, which can be mapped back to geographic hot spots. 5. Computer Function ? Orion?s computer is the first of its kind to be flown in space. It can process 480 million instructions per second. That?s 25 times faster than the International Space Station?s computers, 400 times faster than the space shuttle?s computers and 4,000 times faster than Apollo?s. But to operate in space, it has to be able to handle extreme heat and cold, heavy radiation and the intense vibrations of launches, aborts and landings. And it has to operate through all of that without a single mistake. Just restarting the computer would take 15 seconds; and while that might sound lightning fast compared to your PC, you can cover a lot of ground in 15 seconds when you?re strapped to a rocket. Check out all the tons stuff that gets tossed <7 min. after launch. The conical cover attached to the launch escape systems "tractor" rocket prevents it from melting the Orion, and cooking the crew inside. The commercial spacecraft have done away with with the tractor LES, using smaller rockets at the sides or bottom of the spacecraft in a "pusher" arrangement. This saves several tons of launch mass and several jettison events. It also retires the issue of the LES blocking parachute deployment if it fails to separate. Any update on this bad boy. Are they still going to meet the December time frame? "NASA?s new Orion spacecraft received finishing touches Thursday, marking the conclusion of construction on the first spacecraft designed to send humans into deep space beyond the moon, including a journey to Mars that begins with its first test flight Dec. 4." On track for Dec. 4, but be aware EFT-1 isn't a full-up Orion. Its a stripped down test article with just enough gear on it to do this flight. Guidance, thrusters, heat shield, parachutes etc. 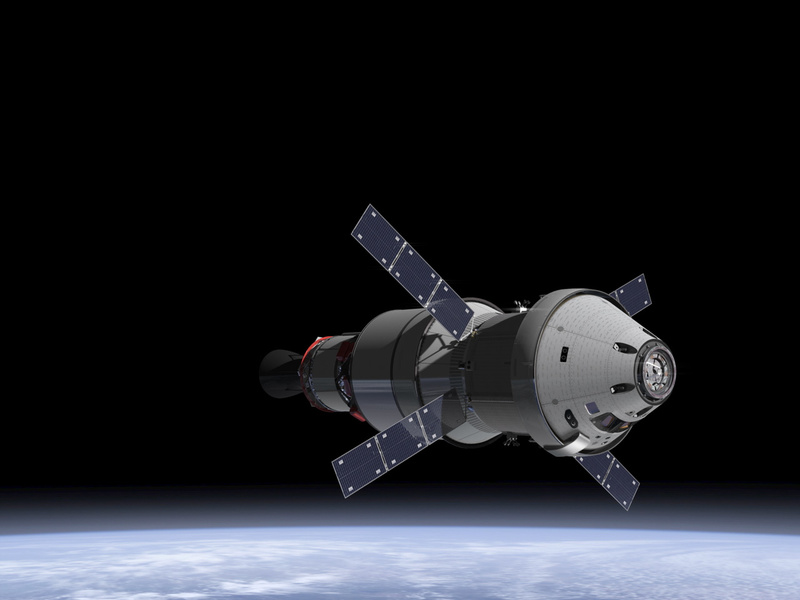 A "real" Orion won't fly until at least 2018, and that'll also be unmanned. That date is paced by the SLS launcher and it's behind schedule. No crews until 2021 to 2022, and that'll be a rehash of Apollo 8's loop around the Moon. Assuming the SLS program isn't cancelled by then, which is quite possible. As the flight test of NASA?s Orion spacecraft nears, the agency released Wednesday a video -- called "Trial By Fire" -- detailing the spacecraft?s test and the critical systems engineers will evaluate during the Dec. 4 flight. Orion is in the final stages of preparation for the uncrewed flight test that will take it 3,600 miles above Earth on a 4.5-hour mission to test many of the systems necessary for future human missions into deep space. After two orbits, Orion will reenter Earth?s atmosphere at almost 20,000 miles per hour, and reach temperatures near 4,000 degrees Fahrenheit before its parachute system deploys to slow the spacecraft for a splashdown in the Pacific Ocean. 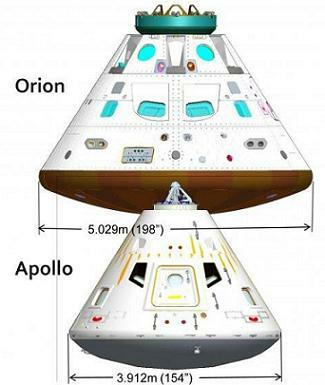 Mission: similar to the 1967 Apollo 4 mission, an Orion instrumented test article (incomplete systems) will go into low Earth orbit then loop out to an altitude of 3,600 miles (5,800 km) and do a high speed re-entry at 20,000 mph (32,000 kph). This will test its heat shield at a temperature of 4,000 ?F (2,200 ?C), 80% of what it would experience returning from the Moon. Great, another fracking boat holding up a launch. Hope that's not a sign. Waiting for a new T=0. We have it playing in the auditorium in the building across the street, but I need to actually get some work done. Yet another hold. Both the core and a booster O2 drain not closed. Cycling all the valves 5 times to clear the glitches. This is a known Delta IV issue. Scrub - the valves issue. I was watching it a few minutes ago when they decided to Scrub the launch. The window ran out. I hope its just a bad sensor. Do the valves just freeze up? So if they boat hadn't got in the way it may have gone? Do the boat owners get fined? Lots of things can go wrong at cryogenic temps, and liquid hydrogen boils at ?252.87?C (?423.17?F). Could be some moisture got in the system and froze, dissimilar contraction or whatever. I'm betting on moisture.